MONTREAL, Quebec - Dec. 12, 2018 - PRLog -- The new VERSATI LUMI Portable Bar is sure to impress guests and spark conversation with multi-color LED backlighting that casts a seductive glow across its front, side and top panels. It is a perfect product for the hospitality industry, including hotels, restaurants, bars, event professionals, furniture rental companies and more. The LED system offers eye-catching visual effects, too, operated by remote control. For upbeat events, you can synchronize a light display to music. For more relaxed atmospheres, you can program the bar to flow smoothly through a cascade of calming colors. Or, leave it on one color and adjust the brightness to suit your needs. 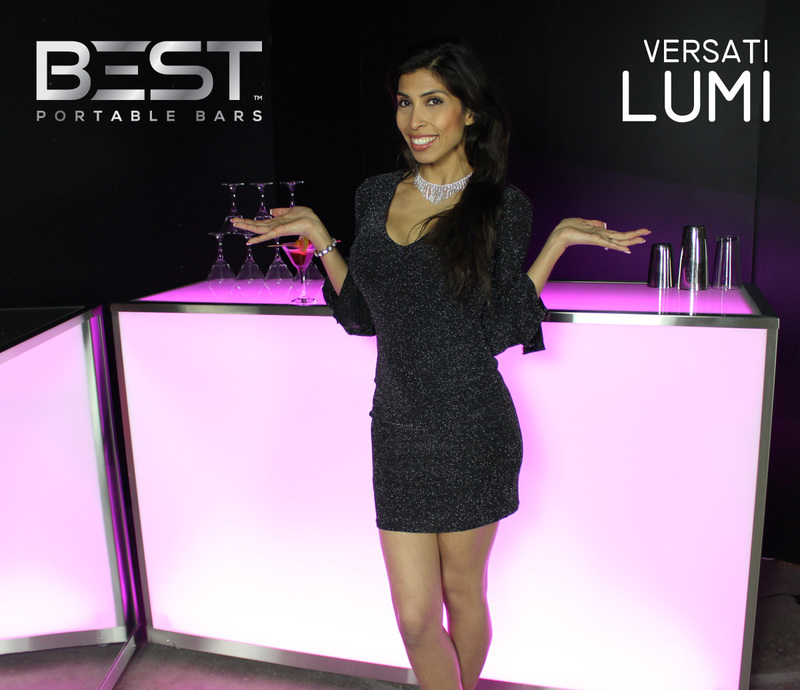 You can see a LUMI in action at bestportablebars.com/lumi/. Designed for indoor and outdoor use, the LUMI is as suitable for service on a rooftop terrace or at a poolside party as it is in a ballroom or lounge. Its sleek, minimalist design is perfect for any ambiance. The bar is as durable as it is cool. 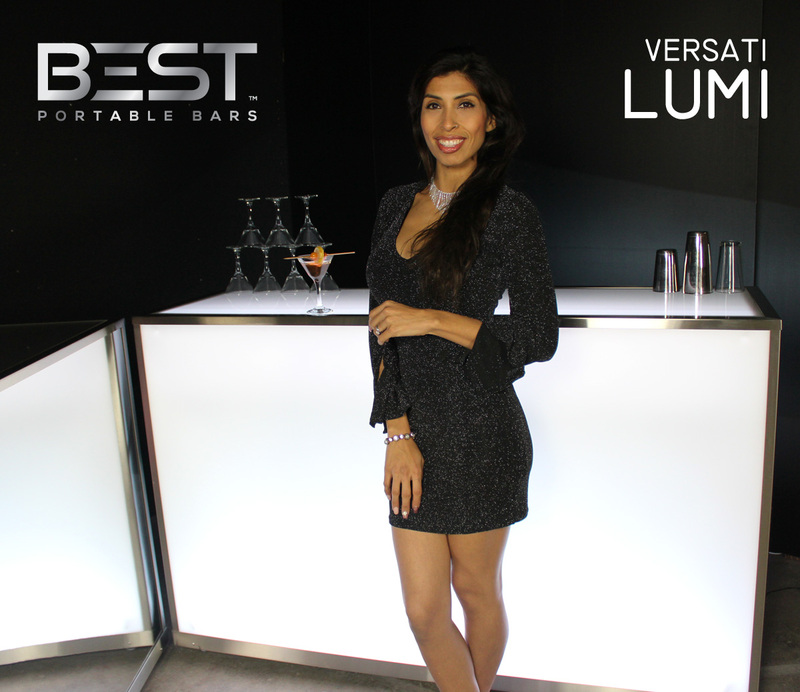 BEST builds the LUMI with the finest materials for the bar and restaurant environment, including food-grade and rust-resistant stainless steel, high-quality, translucent acrylic panels, and German-made wheels. The LUMI will keep guests happy with a behind-the-scenes design that promotes fast and efficient service. Shelves, speed rails and an integrated, double-layered ice bin mean that service staff can send out drinks with ease. 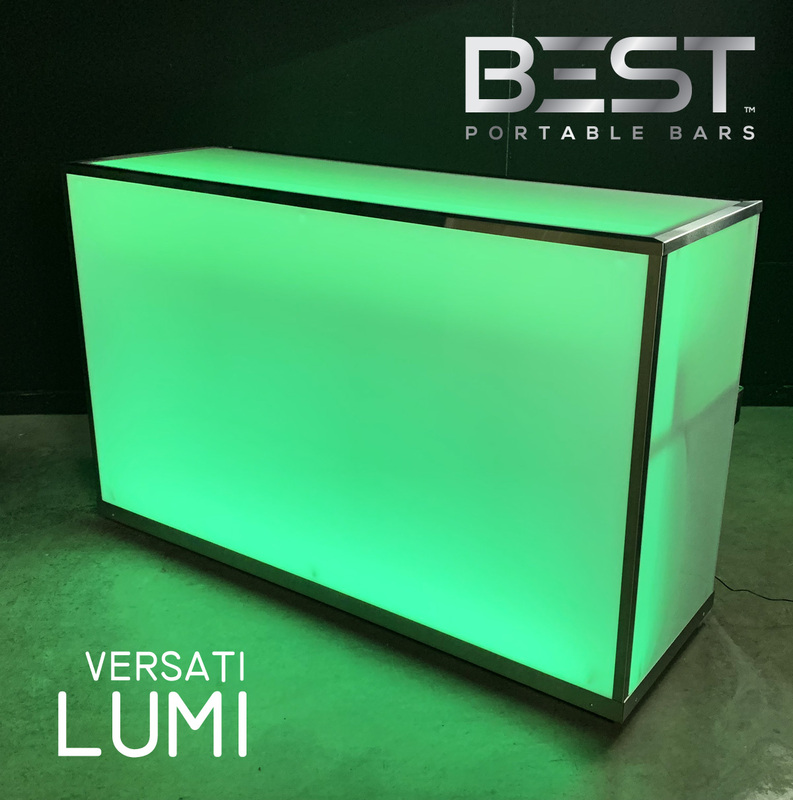 While the LUMI can glow in a rainbow of colors, you can rest assured that its construction is green. The bar uses durable, reusable, repairable and recyclable materials. Its high-efficiency LED lights consume as little energy as possible. Multiple LUMIs can be joined end-to-end to create a single, longer bar. Additionally, the panels can be changed or replaced. Once you order a LUMI, you can expect it to arrive about four weeks later. BEST Portable Bars, a division of Avec Flair Bar Solutions Inc., was founded in 2014. BEST products are handcrafted with passion in Montreal. 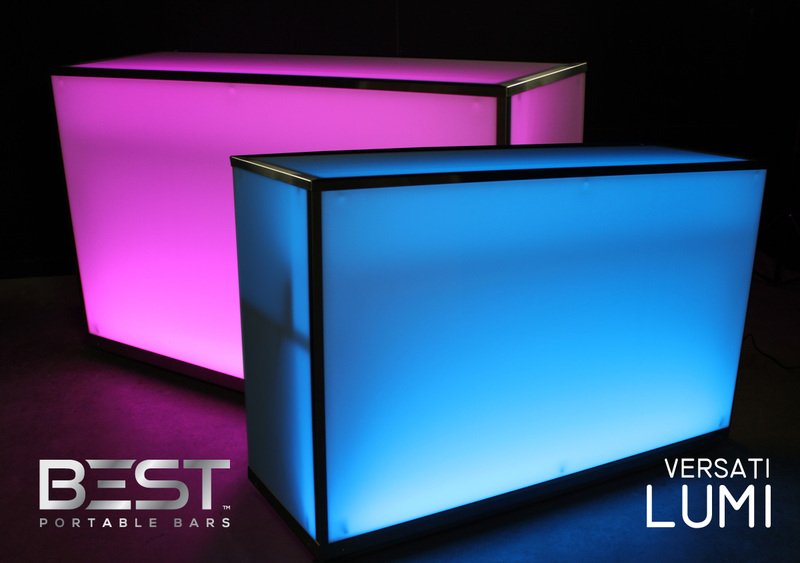 The company's mission is to design and manufacture the BEST portable bars, combining BEST quality and BEST designs. Avec Flair Bar Solutions Inc.